Piano Man celebrates three centuries of piano music, but becomes timeless in its universal accessibility as a hugely enjoyable selection of beloved piano music. 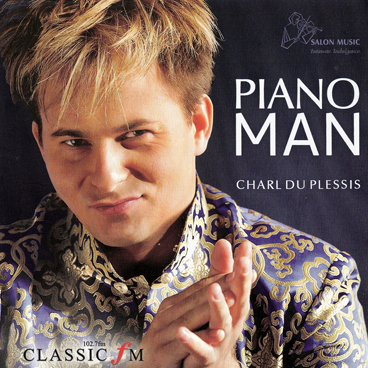 Du Plessis’s artistry is truly compelling as he speeds from Bach to Mozart or from Liszt to Elton John. The disc features popular hits from all style periods and were recorded with a string quintet.